Join us in your finest Havana flair for our Cuban-themed champagne reception and luncheon. We are honored to have our very own Zuzy Martin Lynch share her inspiring story about how Junior League’s network and opportunities led her to create Craving Cuba, an award-winning documentary film about Cuban-Americans and their complicated relationship with Cuba. We are Bay Area women committed to promoting voluntarism, developing the potential of women, and improving communities through the effective action and leadership of trained volunteers. 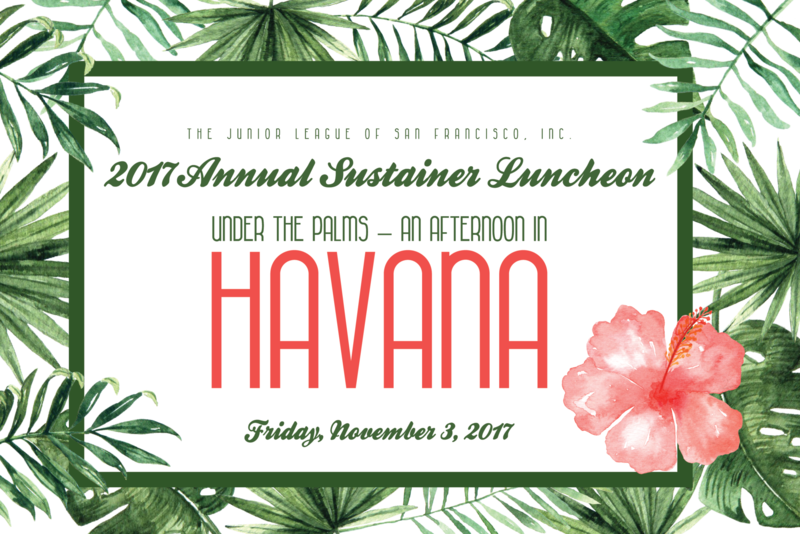 Support JLSF’s volunteer efforts and community projects with a financial contribution.